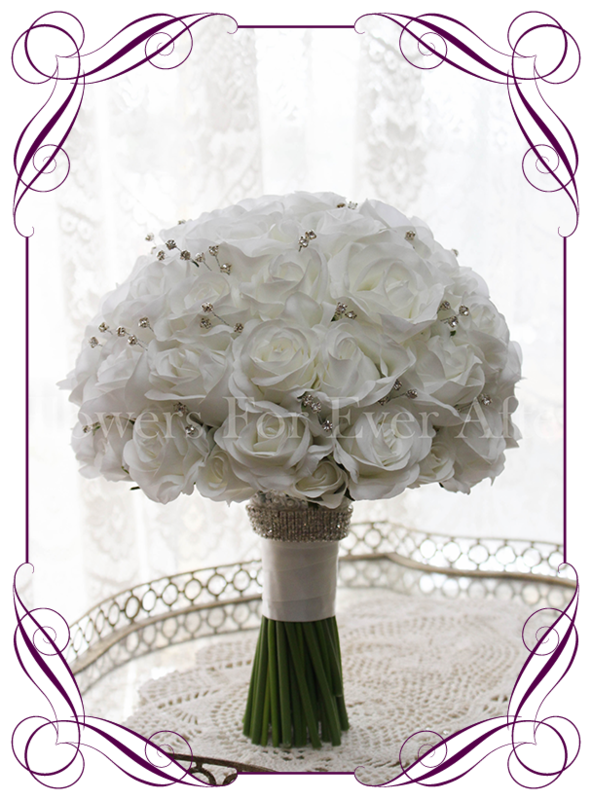 An elegant bridal bouquet in a classic rose style with a touch of glamour. 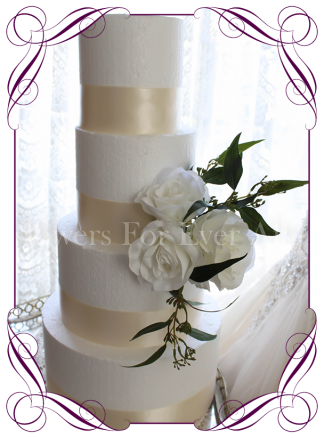 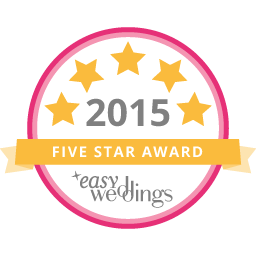 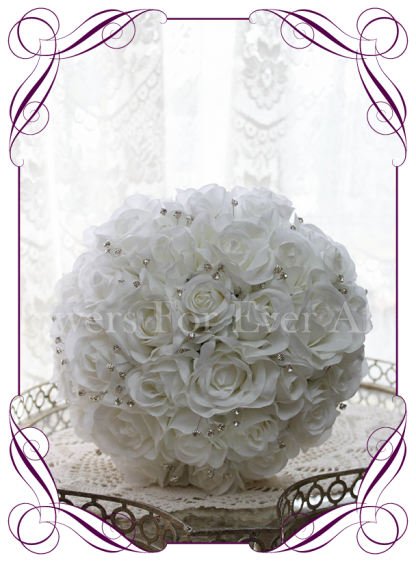 Features natural white roses and rose buds with diamante crystals scattered throughout. 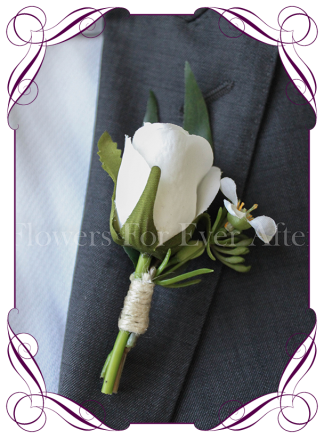 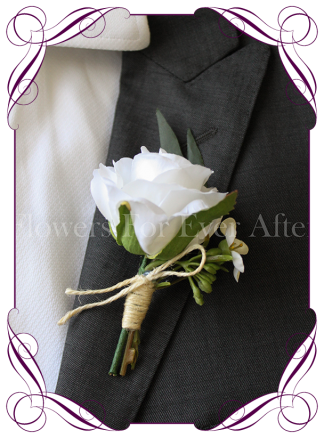 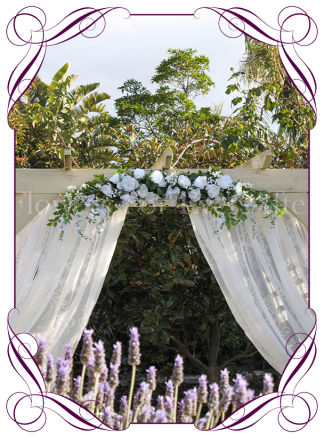 The stem is partially wrapped in bridal white satin (off white/ivory) with a bling band and beaded bridal lace finishing the under-section of the design. 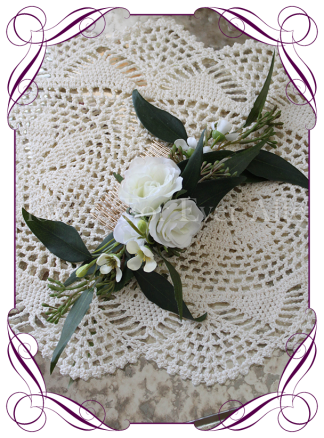 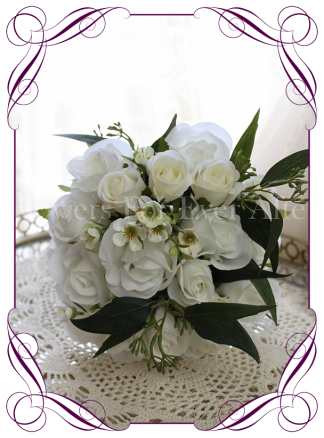 The pictured posy measures approximately 25cm (10 inches) across. 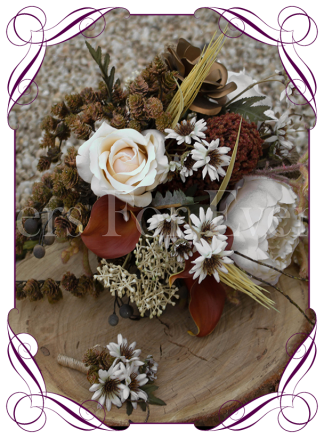 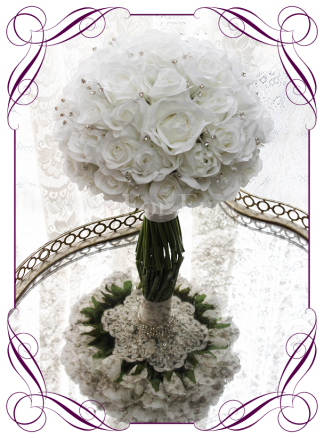 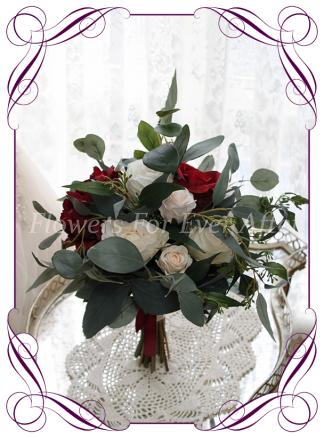 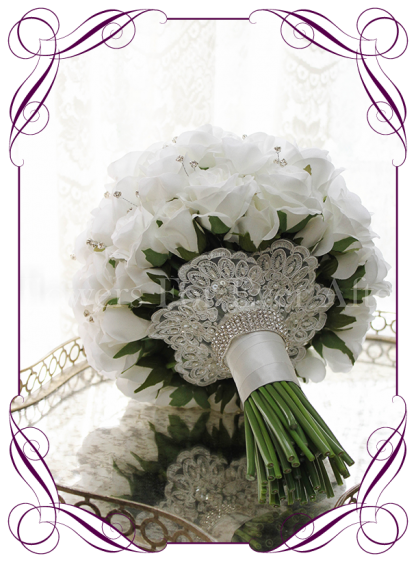 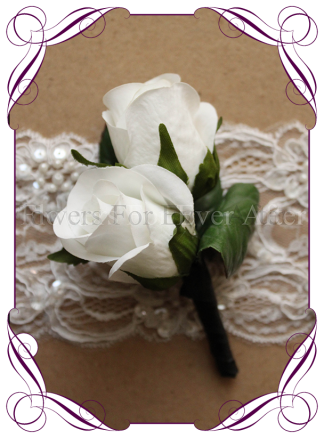 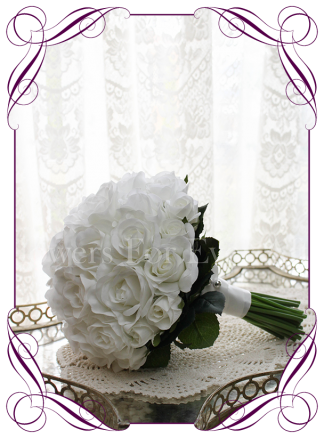 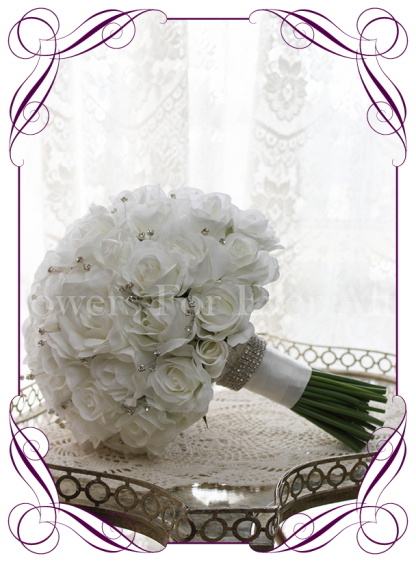 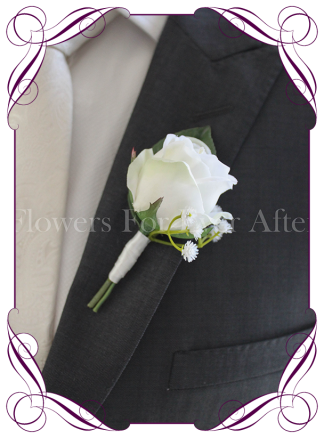 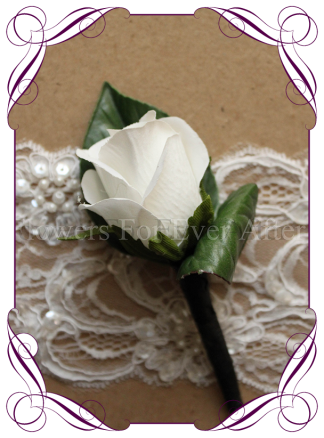 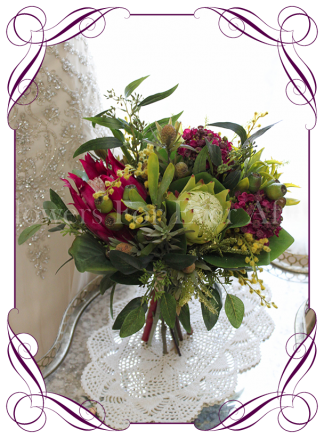 This bridal bouquet can match easily with a large variety of designs on our website.